But since the Ripple Swell event, the wind has been somewhat taken out of XPR sails. The ripple price has sunk around 17% over the last seven days as the volume of XRP has declined by more than 50% over the last four days. Ripple's price surge in September, triggered by Ripple Labs (the company behind the ripple XRP token) teasing details of its new xRapid service — which will allow banks to carry out international transactions using XRP in "a matter of minutes." 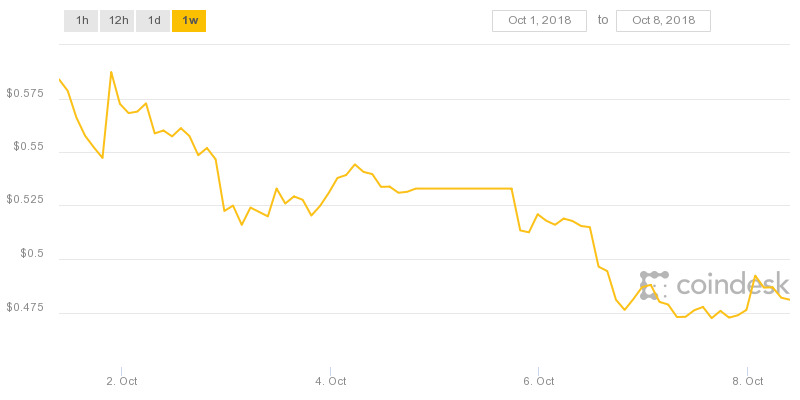 The ripple price has fallen from recent highs of $0.61 since the beginning of the Ripple Swell event to just $0.48.